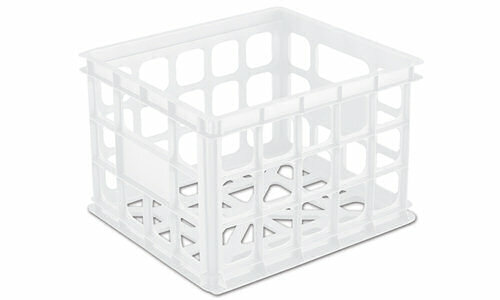 Crates provide a versatile solution ideal for office, dorm, garage or utility room storage needs. 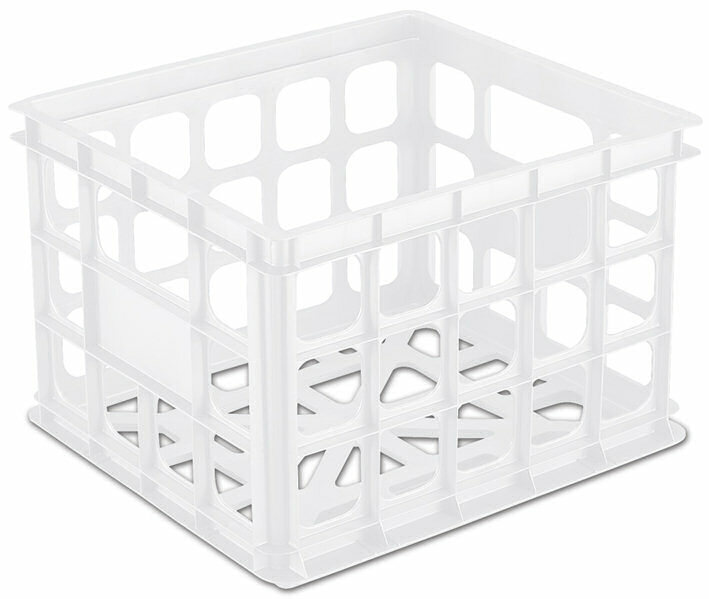 The Storage Crate is a multi-purpose solution that can address a variety of storage needs in the home. It is an ideal fix for keeping all of your letter-sized files neatly stored near a desk allowing for easy access in a home office, a school or dorm setting. Multiple crates can stack on top of each other to use vertical space efficiently, and create a custom storage solution. Integrated handles allow for easy transporting, when storage is needed on the go. The overall dimensions for this item are 15 1/4" x 13 3/4" x 10 1/2". 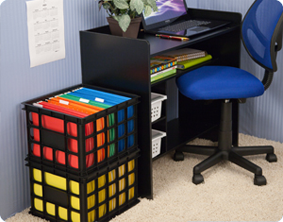 Overall Assembled Size: 15 1/4" x 13 3/4" x 10 1/2"
File crates are an ideal solution for keeping files neatly stored near a desk allowing for easy accessibility in a home office or dorm setting. Crates are the universal storage solution. 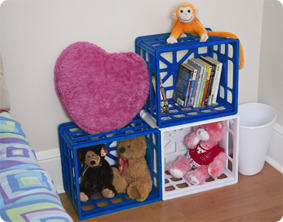 Use them to create a child friendly storage solution by stacking them on their side to store books, stuffed animals or other items in a child's bedroom.